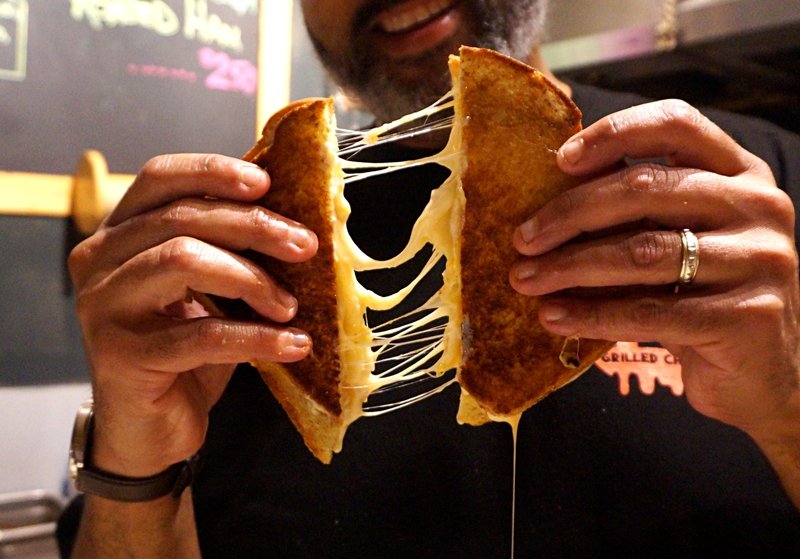 Last month the EatnMingle team checked out the new and improved OM Grilled Cheese in Kensington Market; we were invited with a few other bloggers to an “OM After Dark” event to showcase their varied yet concise menu. The First sandwich out was the Roman Holiday, a tomato, arugula, and black olive pesto with two Italian style cheeses. 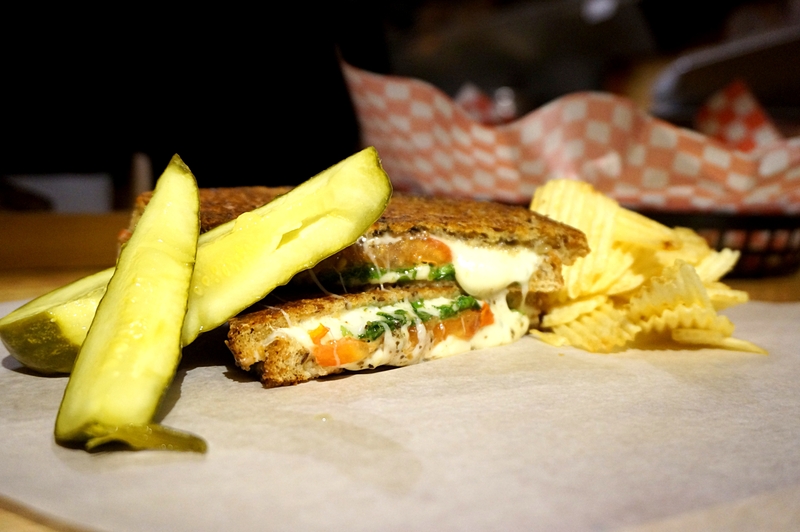 It was a great combination and a fresher style of grilled cheese although for me, a little light on the pesto. 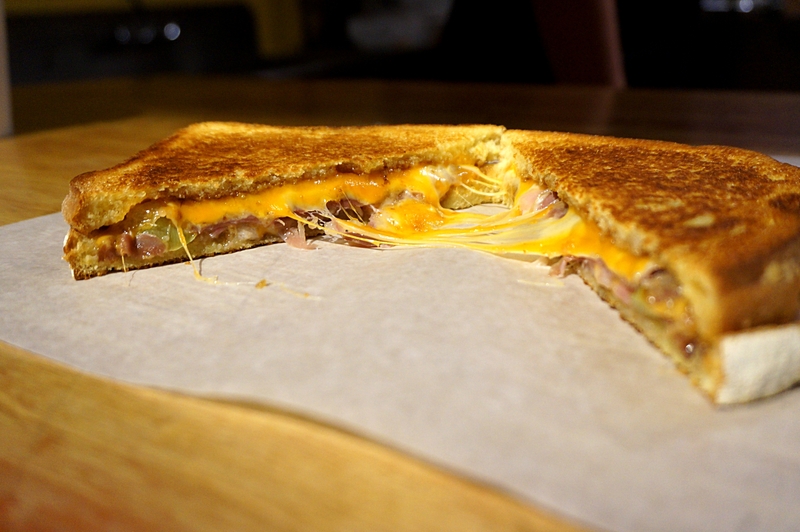 Second out the was The Lord Cheesus; a five cheese combination that Mark, the owner and chef, decided to add bacon to just to make sure it had enough calories. It was fantastic; oozing gooey cheese; the bacon added more saltiness which was perfectly complemented with a mango and Habanero chili sauce. 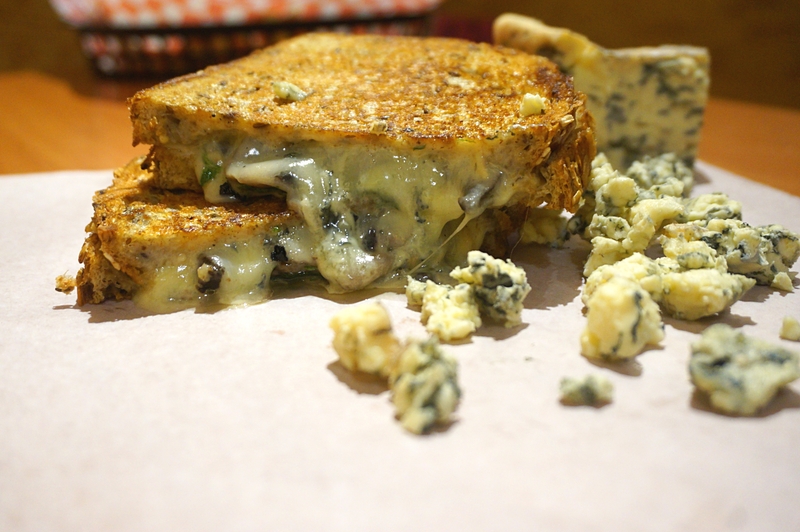 Next out was the Blue Moon, a blue cheese based sandwich with mushrooms and Arugula. This was fantastic sandwich, the blue was sharp but cut well with the provolone and paired perfectly with the mushrooms. Last of the savoury sandwiches was their Wine Country; my personal favourite, a cheese plate in a sandwich, and freaking delicious. Definitely the one I would definitely recommend if you could only choose one, perfect with some hot sauce. Lastly, a special treat for us; a new concoction called the OM After Dark, their inaugural dessert sandwich. 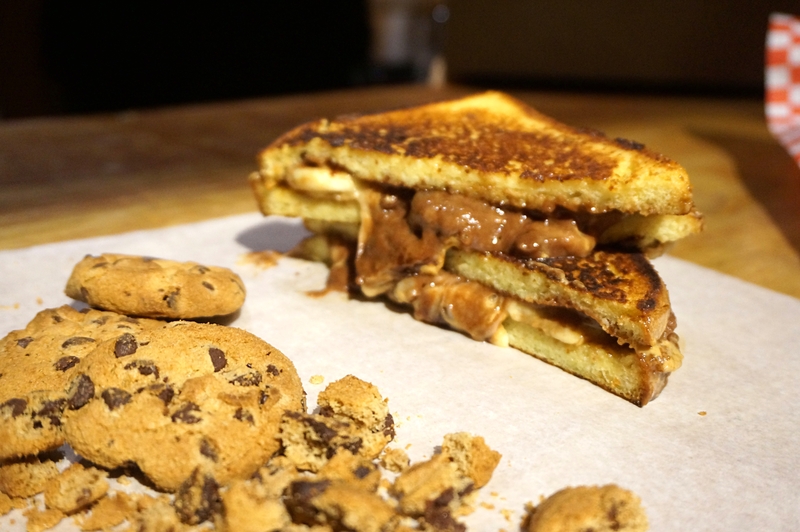 Slices of French toast with Nutella, whipped peanut butter, banana, mozzarella, and crumbled choc chip cookies stuffed into it. A crazy dessert sandwich that had all the right ingredients and textures. My only thing was the French toast needed a little more of a soak. The night was quaint and fun night with fantastic sandwiches.